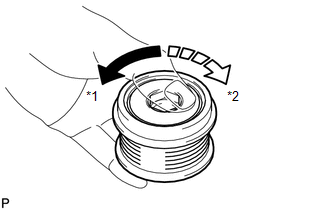 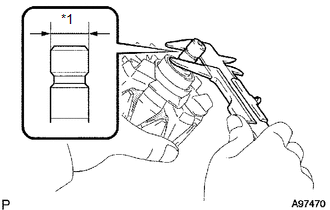 (a) Hold the center of the pulley, and confirm that the outer ring turns counterclockwise and does not turn clockwise. 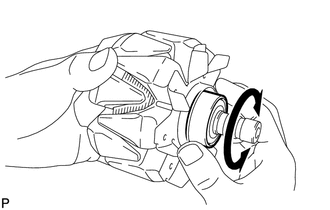 (a) Check that the bearing is not rough or worn and that it rotates smoothly. 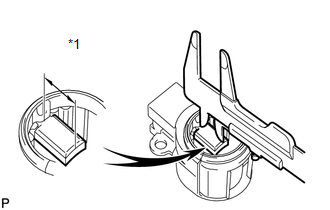 (b) Check the rotor for an open circuit. 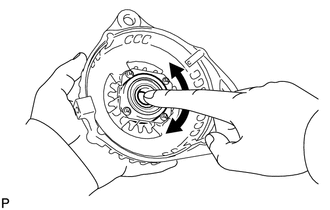 (c) Check if the rotor is grounded. 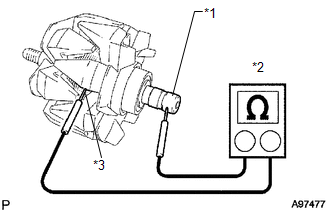 (d) Check the slip ring diameter. 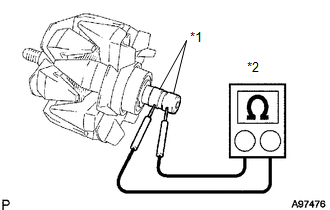 (1) Using a vernier caliper, measure the diameter of each slip ring.